When one diets a Master Plant, the standard isolation and dietary restrictions apply. For each dose, the medicinal plant or tree is prepared and soaked in water for up to 8 hours. The dose is administered at 3am for the first three days of the diet. Our Curandero will place an arcana (protection) on the dieter for the duration of the isolation. Mapacho smoke is often used throughout the diet to cleanse and center the dieter. A strict meal diet is followed which consists only of: rice, eggs, chicken, and plantains. No salt or oil is added to any meal and every meal is prepared and delivered with love. The dieter must stay in isolation in order to focus on introspection and understanding of the emotions being released. Journaling is encouraged during this isolation diet. Frequent bathing is recommended throughout the duration of the diet to cleanse and cool the body of the toxins being released. When it is time to break the diet, the Shaman will administer a salt mouthwash and the dieter may re-enter the group and society as a whole. Please refer to the Important Disclaimer at the bottom of page regarding breaking this diet. WE HIGHLY RECOMMEND TAKING BEFORE AND AFTER PHOTOS WHILE WORKING WITH THESE MASTER PLANTS! Chiric Sanango (Brunfelsia grandiflora) also know as Yesterday, Today, and Tomorrow. Chiric Sanango grows naturally in the upper Amazon basin, including our property. The word “Chiric” in Quechua means ‘itchy’ or ‘tickling’, which refers to the peppery sensation of the brew when being swallowed. 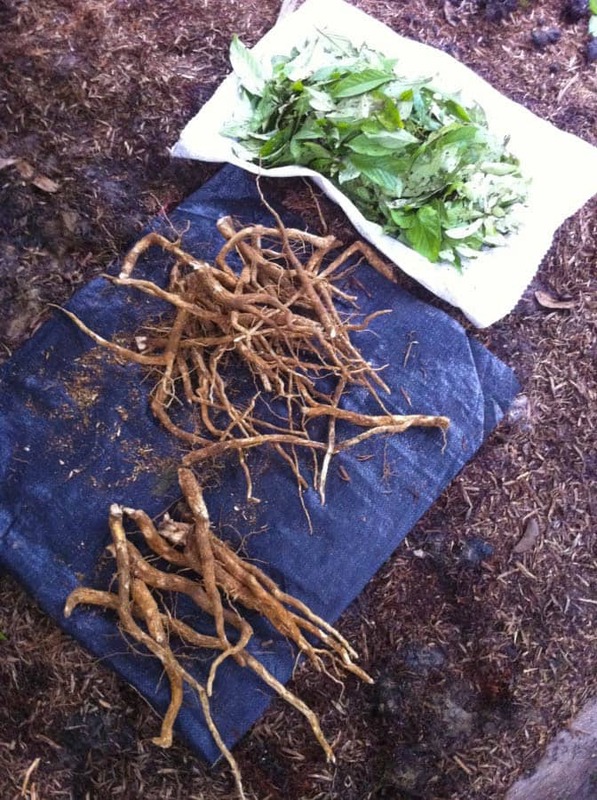 The shamans of the Amazon prescribe this root for colds and arthritis. It has been said to help heal a broken heart or cool down an enraged or jealous heart. It has also been said to cultivate a higher sense of Self or ‘self-esteem’ and confidence. It aids in emotional healing and provides a greater sense of mental clarity. The effects that the dieter may experience most intensely may include dizziness, disorientation, chills, weakness or fatigue, and emotional releases. These are a direct result of the medicine cleansing the body of toxins and negative energies. The strongest physical discomfort typically passes by the 3rd day of the diet. Chiric Sanango is known to continue working once the dieter sleep, bringing about a vivid dream world. While this aspect can be deeply revealing for the dieter, and thus healing, it is also challenging since the vivid dreaming can disrupt deep sleep. Uchu Sanango (Tabernaemontana sananho) also known as Abuelo Sanango or Grandfather Sanango. It is a well-known Master Plant that grows in the upper Amazonian basin and on the RHC grounds. Uchu Sanango is also known as “peppery” or “fiery” Sanango. It utilizes a “hot” energy while moving through the body, burning negative energy at the cellular level. It is also hot and spicy to the taste. It is prescribed as a health tonic for the treatment of many ailments. The locals use it as a febrifuge (fever reducer), emetic, diuretic, and calmative, and it can aid in the healing and realigning of the muscular and skeletal systems. Uchu Sanango works on restoring the body on a cellular level and is also known to aid in memory enhancement. The alkaloids present in this plant help to reset neural pathways, allowing neurotransmitters to be received, thereby enhancing memory. The effects of this Master Plant may make the dieter physically off-balance, weakened, dizzy, and can induce vomiting, diarrhea, sweating, blurred eyesight and the experience of an electrical “buzzing” sensation throughout the body. This sensation is the Uchu working throughout the physical body, repairing on a cellular level. The strongest physical discomfort usually passes by the 3rd day of the diet. The dieter can also expect to experience lucid dreaming at night and be in a dreamlike state while awake. This is the ideal state for the Sanango spirit to come into union and commune with the dieter. 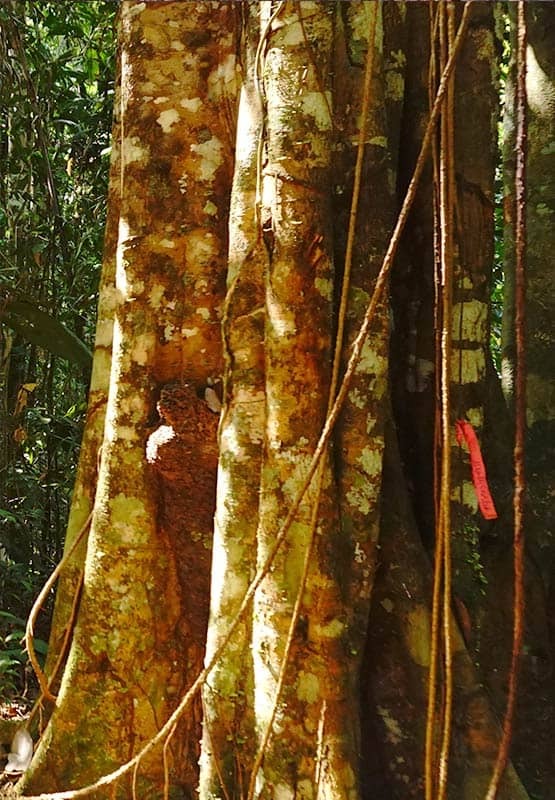 Chuchuhuasi (Maytenus laevis) is an enormous canopy tree that grows to 30 meters high in the Amazon rainforest that has large leaves (10-30 cm), small white flowers, and an extremely tough reddish-brown bark. Chuchuhuasi translates as “trembling back,” which refers to its long-standing use among locals for arthritis, rheumatism, and back pain. Locals believe that Chuchuhuasi is an aphrodisiac and tonic as well. 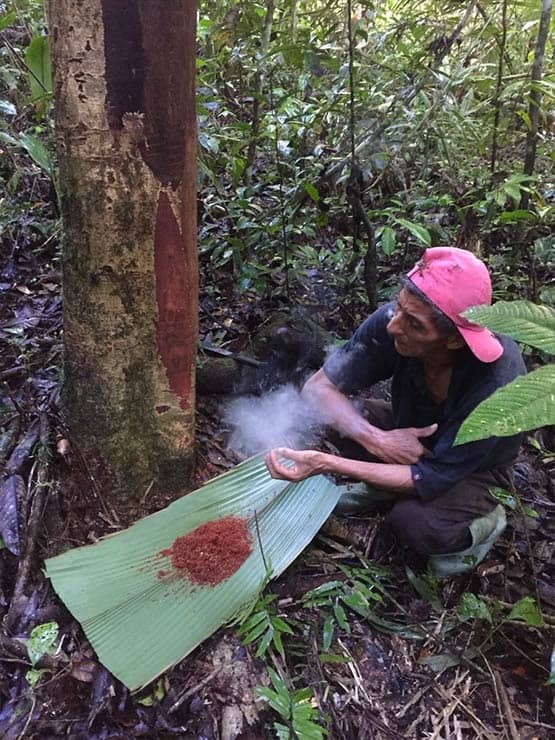 Other popular uses in the Peruvian Amazon is for adrenal support, as an immune stimulant, to treat diarrhea and hemorrhoids and for menstrual balance and regulation. Late last century scientists discovered that the bark had potent immune-stimulating properties, and research evidenced anti-inflammatory and analgesic activities. Among the many physically reparative aspects of Chuchuhuasi, it is a spiritual teacher in strength and joyfulness. When you diet its bark, you will feel more alive and clear. In an isolation dieta, Chuchuhuasi will be felt in the whole body, and the feelings brought on are typically quite pleasurable and enjoyable. “The Chiric Sanango diet was the hardest thing I have ever done in my life, but it’s the best thing I have ever done for myself. It broke me down more raw than I could’ve imagined. Remo Caspi (Aspidosperma excelsum) also known as Paddle Tree. Remo Caspi gets it common name from the fact that locals have long relied on the wood from this tree to construct their boat paddles. The root bark from the Remo Caspi tree is traditionally used to treat malaria and other types of fevers. 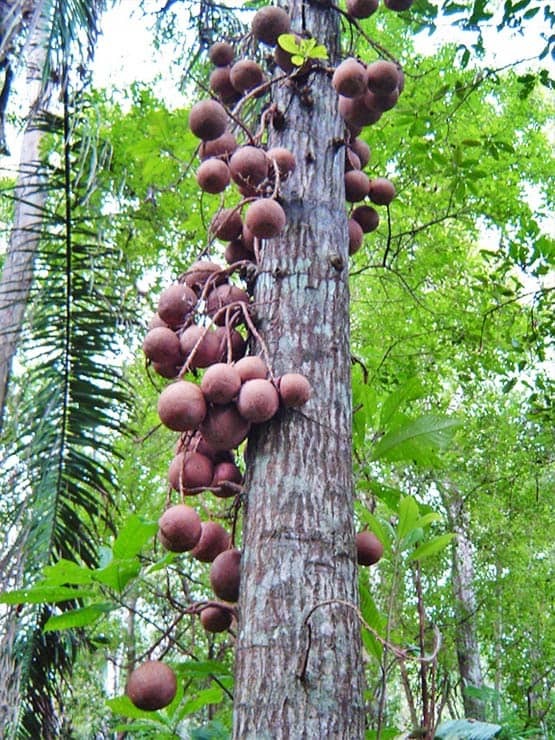 The stem bark or leaf stems have also been chewed on to relieve toothaches by the indigenous peoples of the Amazon. It aids in digestion and helps to cleanse the body of “air” imblances. Among the locals, Remo Caspi also has a reputation as an aphrodisiac, since among the list of its many qualities is its ability to assist with erectile dysfunction. As a Master Plant, Remo Caspi is strong and works on the body in many ways to rebalance and strengthen. Spiritually, Remo Caspi works to move and remove dense and dark energies as well as provide clarity and guidance. Ayahuma is warm and revitalizing, helping us to gently open our hearts for compassion with ourselves and others. Ayahuma allows dieters to see the world more shamanically, acting as a true Master Plant, it opens our eyes to the web of existence that we are embedded in. The plant works particularly powerful when dieted in conjunction with Ayahuasca ceremonies. 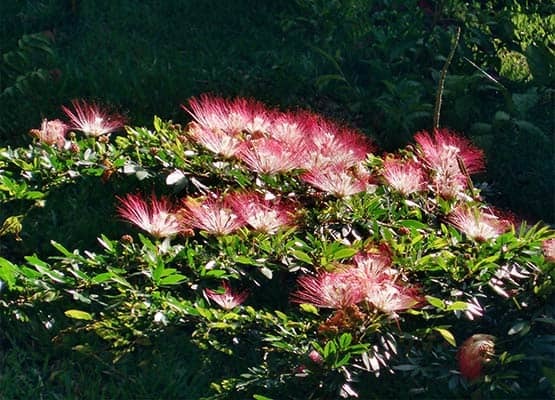 Bobinsana (Calliandra angustifolia) is a shrubby tree normally found growing along river banks and streams in the Amazon basin. It is quite easy to identify the plant due to its stunning pink to reddish powderpuff-like flowers that open twice a day; around 4 AM and 4 PM. Bobinsana is well-known and loved among Peruvians due to its medicinal properties. A decoction of its roots may be prepared as a depurative for strength and energy, for it boosts the immune system. Alternatively, a tincture of its bark may be prepared to heal arthritis, rheumatism, musculoskeletal pains, edema/oedema, and uterine disorders. Research done in Sweden has shown that the plant contains COX-inhibitors, which is a remedy for arthritis. This explains why Bobinsana is so reputable for healing rheumatism and arthritis in South America! Above all, Bobinsana is a sacred Master Plant Teacher and is used by shamans for its spiritual qualities. We are particularly interested in working with Bobinsana for its gentle heart-opening qualities and its ability to teach us Self-Love. We have seen that best results come from adhering to the traditional dieta of 3 drinks of Bobinsana in isolation followed by 5 more days of isolation, with the total being 8 days of isolation. The 5 days of isolation after the initial 3 drinks are very important because at this time the medicine will continue to work deep within you. Traditionally an Ayahuasca ceremony is done to open the dieta and one to close the dieta. You can think of the opening ceremony as asking the plant spirit for a right of passage and the closing ceremony is for gratitude for all that it has given you, and to ‘seal’ all beauty within you. “Plant Spirit Shamanism in the Upper Amazon of Peru is not just about Ayahuasca. The Shaman and Healers of Peru have access to an entire pharmacy of natural resources and have learned to use them with the depth and potency that Mother Ayahuasca herself is so famous for. I would like to share my experience sitting with the Master Plant: Uchu Sanango in isolation, and how healing for my spiritual and health issues were. I undertook an eight day traditional Master Plant Dieta where I was isolated in a small hut in the forest, eating very simple starches only with no salt or oil and drinking rather large doses of the plant. Each time I drank the Uchu, I would enter into a state of hot sweats, become dizzy with weak legs and my vision would blur. I would spend hours meditating in a floating state between thought and sleep, shivering and sweating. No mental forms were allowed to remain for long as the plant instructed me to release, release and release them again. As with all plant medicine work, dedication, commitment and completion are crucial for total integration and benefit. Breaking dieta early can have serious health and energetic complications, therefore it is extremely important to adhere to the dietary recommendations given to you. If one chooses to break the diet before completing the required commitment, one risks the threat of experiencing adverse health issues. In Spanish this condition is called “cruzado” or “crossed.” This condition can include confusion, flu-like symptoms, UTIs or bladder infections, and tactile sensitivity. When the body’s energy field is wide open from working with these roots and one decides to quit the diet and enter back into society abruptly, the energy imbalances can be very disorienting. Restoring that balance may require a total repeat of the dieta.